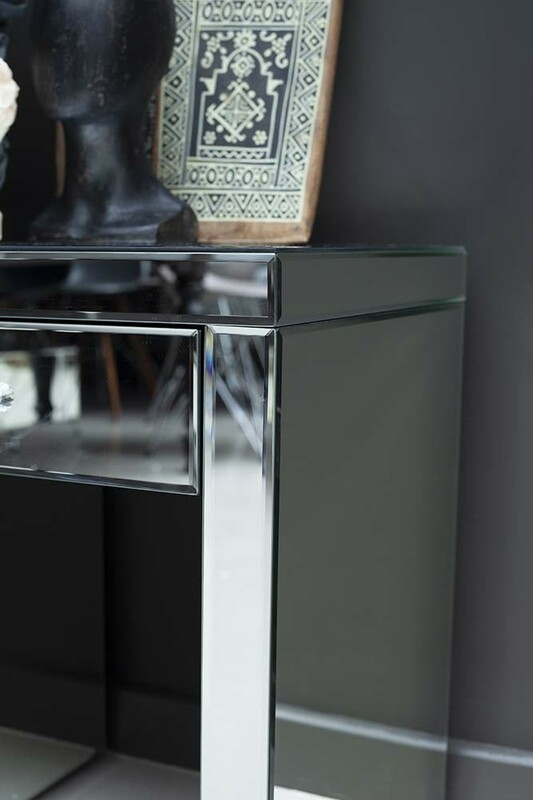 Reminiscent of 17th and 18th Century Venetian interior design the Venetian Mirrored Bedside Table will add traditional mirrored sophistication and class to your bedroom, with a modern twist! 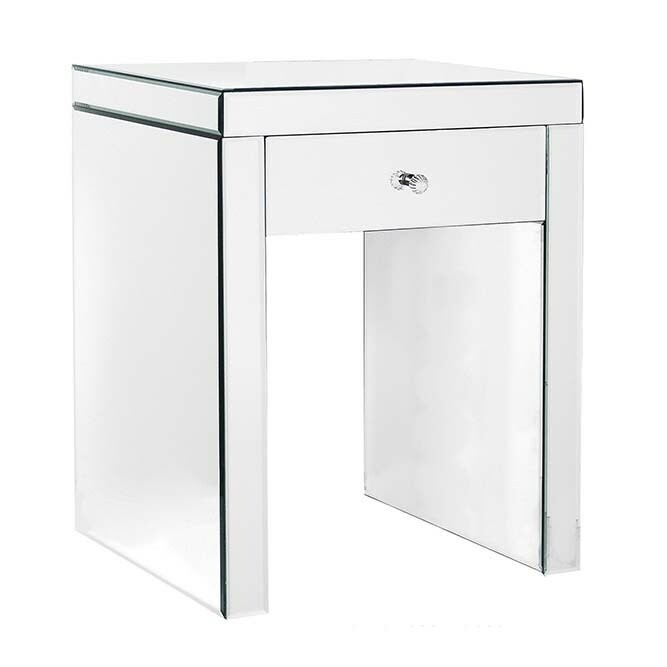 A beautiful bedside table that will draw the eye as well as reflecting light into the room, the Venetian Mirrored Bedside Table is an utterly unique furniture piece for your home. Oozing elegance and refinement style a set of the Venetian Bedside Tables either side of your bed in the master bedroom or guest bedrooms for ultimate wow factor interiors! 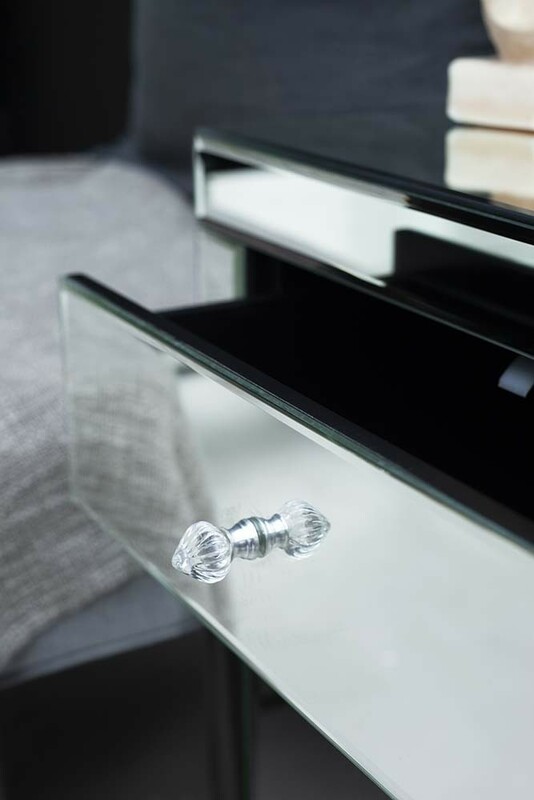 Pure beauty the Venetian Mirrored Bedside Table is completely mirrored and has a handy drawer for all your nightstand essentials! 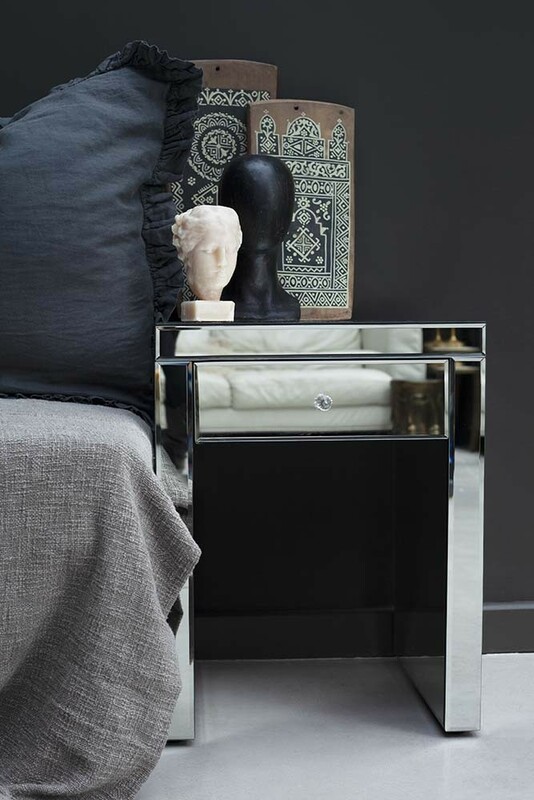 A gorgeous piece, complete the set with our Venetian Mirrored Small End Table, Cube, Dressing Table, Coffee Table and Floating Shelf.